A Youngsville woman is seeking justice after her dutch shepherd was shot in the face earlier this week. Brook Ordogne says she is still in shock that someone would shot her dog, Ozzy. “We were scared we were going to lose him and that was killing us.” she said. Ordogne remembers expecting Ozzy to greet her like he normally does, but he didn’t. “We look under the porch and we see him and say oh ozzy, you were sleeping, good huh, and we shine the flash light on him and we see his face and his head started falling back like he was losing consciousness.” Ordogne recalled. After that, Ordogne quickly rushed Ozzy to the vet and they nursed him back to health. “He acts not like he is not even injured. He can barely see but he is still trying to play.” said Ordogne. She was told that Ozzy was being aggressive. “I truly don’t believe in my heart that Ozzy was threatening in any sorta way. He was training to be a service dog and they wouldn’t let an aggressive dog be a service dog.” she said. Ordogne explained even if he was, the situation should have been handled differently. “If you feel threatened, you go in your home, you stay in there, you call the cops, the SPCA comes and that’s how you handle that.” said Ordogne. Ordoyne says she will continue to fight for Ozzy. “Animals can’t voice their opinion. They can’t voice when they are in pain and especially larger breeds like this. They don’t like to show when they are in pain so we are his voice get justice served for Ozzy.” Ordogne explained. The Vermilion Parish Sheriff’s Office says no charges have been filed but the case is under review. 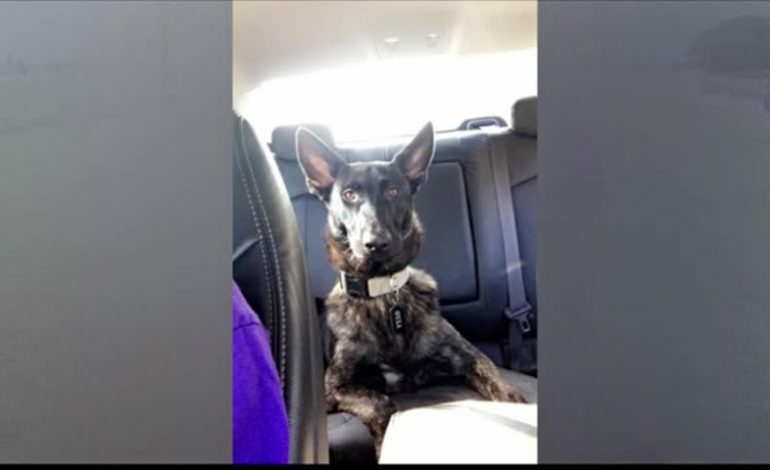 A spokesperson explained they responded to four previous complaints of that dutch shepherd being loose in recent weeks. Although Ozzy is recovering, he is still in need of surgery. A GoFundMe page has been set up to help pay for his medical expenses which can be found here. Note: The previous version of this story incorrectly stated that Ordogne said the shooting happened after the dog got out of her yard and into a neighbors.